I hope someone can shed some light on this. My brother in law applied for a visitor visa along with his wife and daughter as dependents (separate applications). 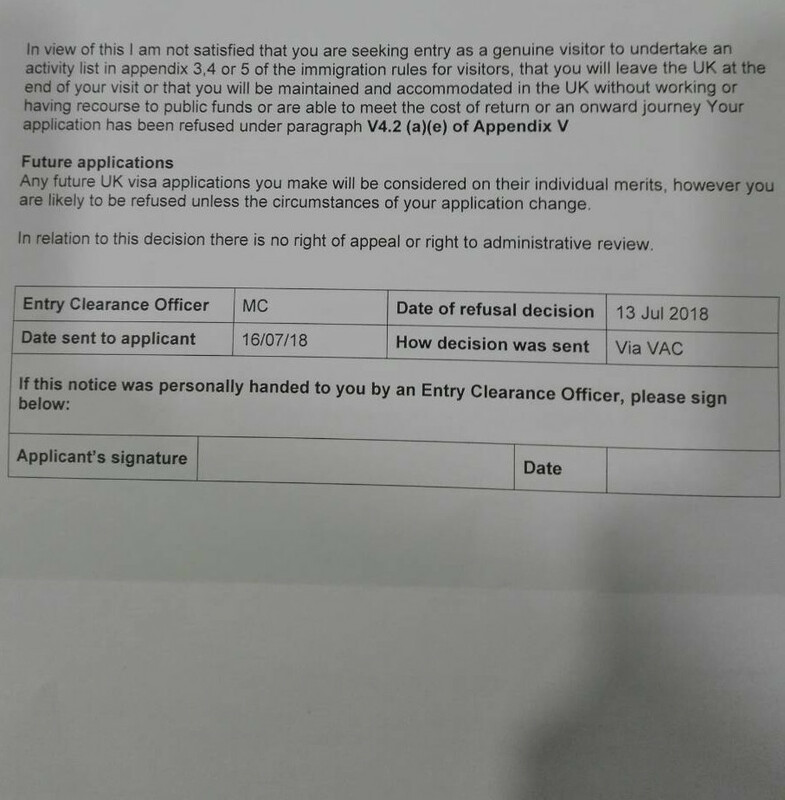 However, my brother-in-law's visa application was rejected and because of that the other two applications were rejected too. Below is the refusal letter he received. To prove the intention to leave the UK at the end of their visit, we provided letters from both his and his wife's employers and a letter from their daughter's play school. With regard to funds, we provided a savings account statement. This isn't the account where he receives his monthly salary and there aren't a lot of transactions in this account. We didn't provide his salary account. Can they re-apply including his salary account statement? UPDATE We applied for another family (my sisters) around the same time, and their visa was approved. Almost all of the documents submitted were similar, except for the circumstances around the account. The account shown by my sisters family belongs to her husband and it's where he receives his salary as well as the account he maintains as savings. In my brother-in-law's case, his account is not the same account he receives his salary to. I never knew that we have to show the account where the salary goes. Why can't a person show a saving account where they don't put money into anymore. You can, but whether it would change anything is doubtful. The visa was also refused because an intention to leave the UK could not be established. Not the answer you're looking for? Browse other questions tagged visa-refusals standard-visitor-visas or ask your own question. Is it worth reapplying UK Visitor visa (self employed)? 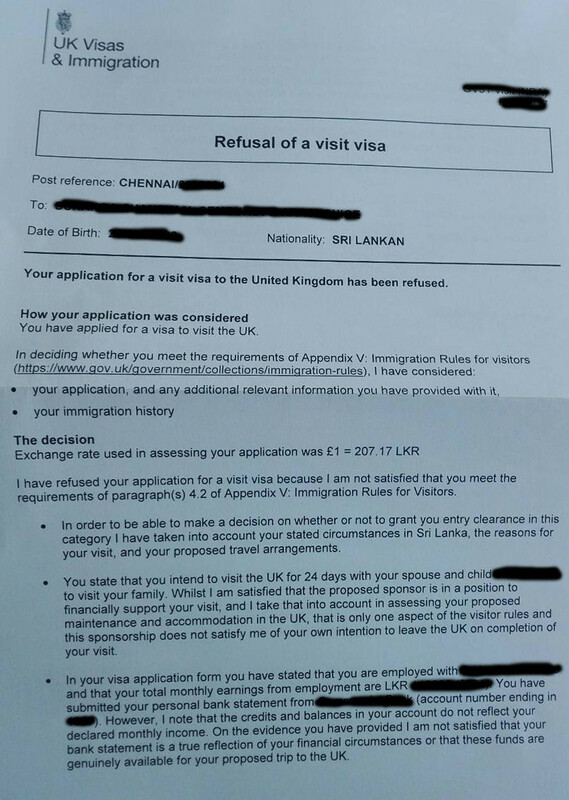 UK visitor visa refused on V4.2 (a) V4.2 (c) even though sponsor would pay for the entire trip!